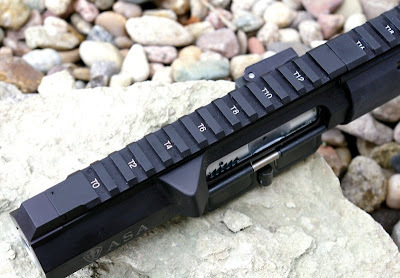 In a recent review of a ASA side charge receiver build, I used a Samson Evolution Series AR forend and liked it so much I thought it deserved its own review. 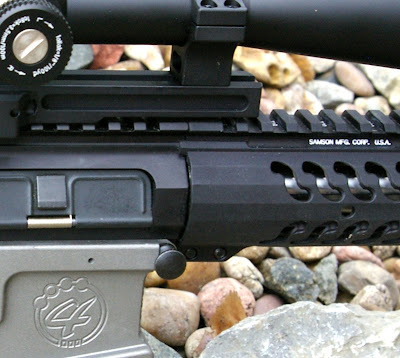 I am a fan of those near barrel length handguards and the slimmer the better simply because I find them easier to handle and far more comfortable. 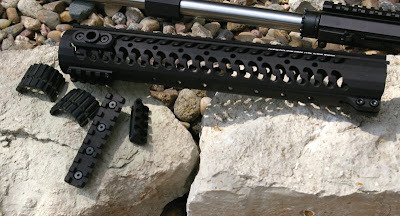 I also find longer handguards much more versatile with added room to stretch out or more placement options to shoot from supports, so it should come as no surprise that I really liked the features of the lightweight 12.37” long Samson Evolution series handrail. For this build, I set up the ASA Side charge receiver including a chrome carrier and topped it off with a Young Manufacturing bolt. 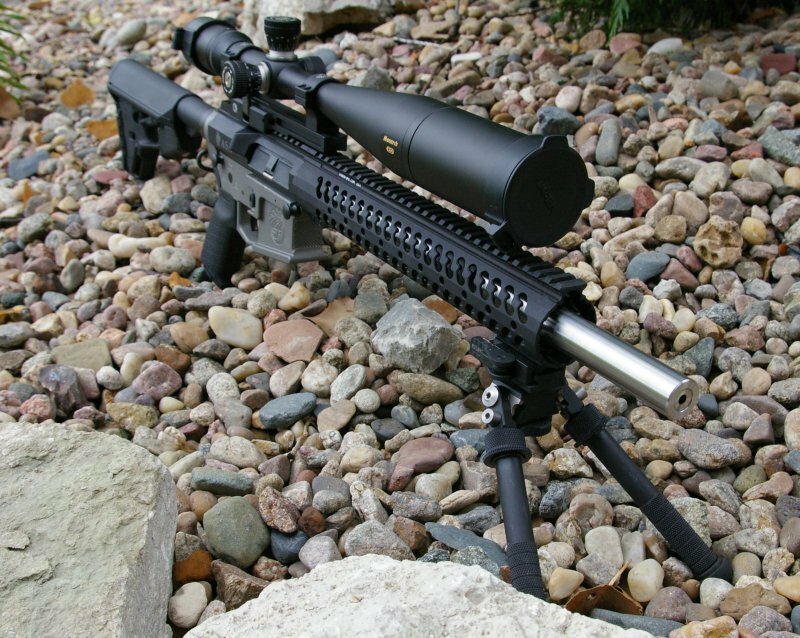 The big fat 16” ASA .223 Bull Barrel was slipped into the receiver with a low profile ASA gas block and White Oak stainless gas tube and covered with the Samson Evolution Series billet handguard. Samson offers a unique and lightweight option in their Evolution Series and of course I chose the long 12.37” version and almost wish I would have picked up the even longer 15” version. The 12.37” Evolution version weighs in at only 11.5 oz and the slim 1.8” width is easy to hold even for younger and female shooters. This handrail includes 2 - 2” picatinny rails which provided mounts for my Atlas bipod and an extra rail for hopefully a laser designator down the road. 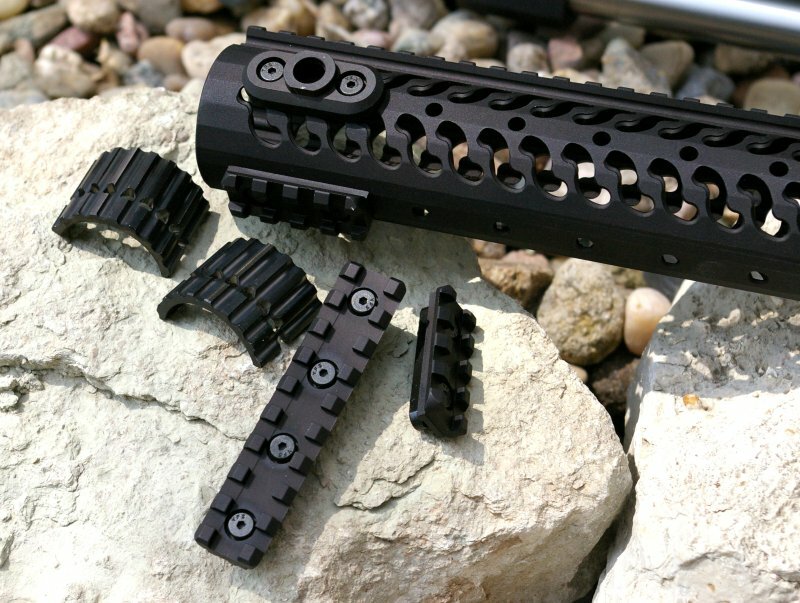 The Mil-Spec hard coat anodizing was a perfect hard deep dark consistent black finish on the 6010 T6 billet aluminum rail. Installation was as simple as clipping the half moon coupler to your standard Mil-Spec barrel nut, slip on the handguard and then tighten down the two handguard hex screws. During installation, I appreciated that I did not need any special tools for installation and those that have suppressors or piston systems will be happy to hear that Samson has taken extra steps in the design to assure this slim rail is still compatible with most suppressors and piston systems. For testing, I mounted the upper to my Holding Precision billet lower and clipped on my Nikon Monarch 8-32X50ED scope with a PRI Gator Grip Platform Quick Release mount. With the marginally fatter ASA upper receiver, you do need to use a file to trim just a bit were the Samson handguard keys into the upper receiver; on standard Mil-Spec upper receivers the handguard is a direct fit and this modification is not required. It was a simple modification that took only 5 minutes of file work and is hidden after installation. 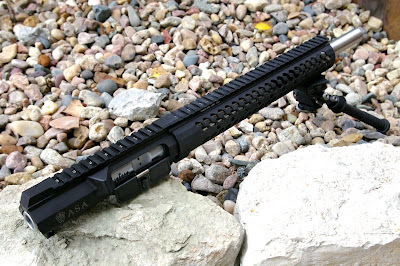 As with any free-float tube, there are concerns that it will have that little wiggle, however the Samson locked up tight and perfectly to the ASA receiver and was wiggle free even after banging it around on various supports. I am a fan of long handrails because they give loads more room to find a comfortable handhold or support in less than optimal situations. The Samson Evolution rail was extremely comfortable to handle and made the 16” ASA bull barrel feel lighter than it actually was. In fact I liked this length and slim profile so much that I simply cannot imagine living with this build with a rail this long or even longer. 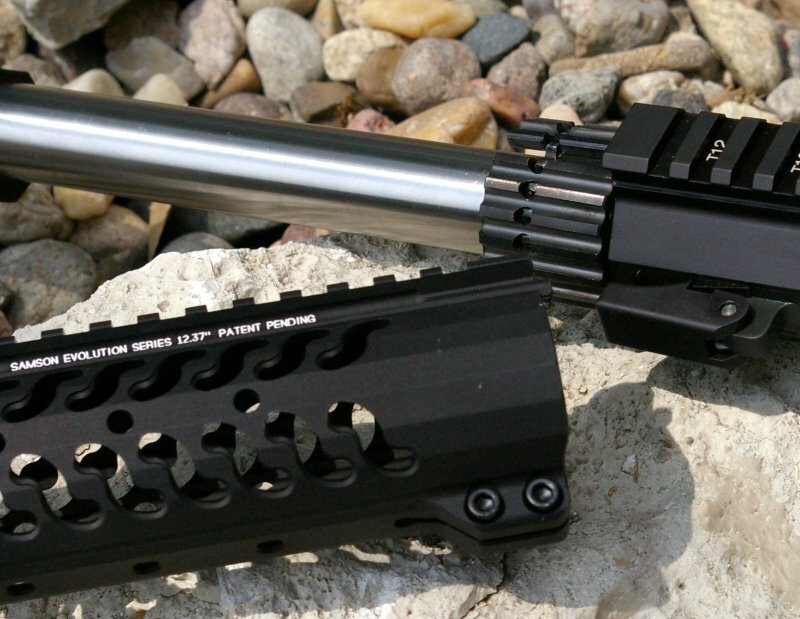 If you are looking for a quality rail option that looks a bit different, a bit cooler than what everyone else has and for the price, I think that the Samson Evolution Series rail offers an outstanding value and it doesn’t hurt that it looks great and is comfortable in the process.